Enjoy sunsets and ocean views from this beautiful tri-level coastal home which offers the very best of Orange County Coastal living. 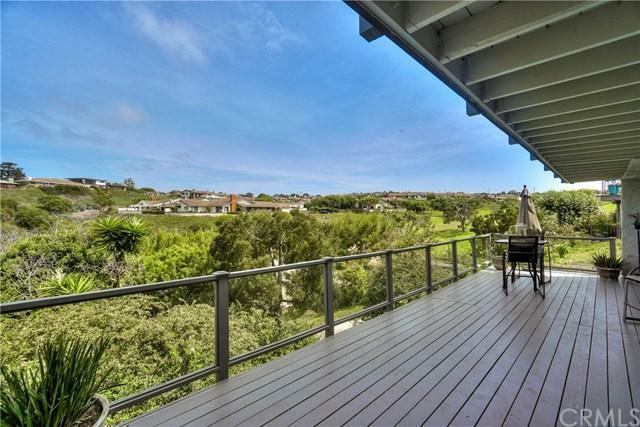 Located in the much sought after Jasmine Creek Community in Corona Del Mar. The fully remodeled home features 3 bedrooms and 2 1/2 baths in 2460 sq. ft. creating an effortless relaxing environment. The impressive entry leads to the upper floor comprised of an elegant open concept of living with a floor-to-ceiling fireplace, vaulted ceilings, chef's kitchen, dining area and m Enjoy sunsets and ocean views from this beautiful tri-level coastal home which offers the very best of Orange County Coastal living. Located in the much sought after Jasmine Creek Community in Corona Del Mar. The fully remodeled home features 3 bedrooms and 2 1/2 baths in 2460 sq. ft. creating an effortless relaxing environment. The impressive entry leads to the upper floor comprised of an elegant open concept of living with a floor-to-ceiling fireplace, vaulted ceilings, chef's kitchen, dining area and multiple sets of sliding doors which lead to ocean, greenbelt and Catalina Island views from the upper balcony. Master bath suite features marble tiled bath with an Ove freestanding tub, double vanity and a beautiful walk in glass shower accented by elegant glass tile. The French sliders in the master lead to an expansive lower deck and more views of the ocean and Catalina. Double car garage with laundry set-up, substantial storage and epoxy coated flooring. Gated Community with 24 hour guard station features six tennis courts, 3 private pools and Jacuzzis and clubhouse. Superior location close to CDM Village, beautiful beaches, Fashion Island and Oasis Senior Center. Listing provided courtesy of Wayne Stewart, Realtor. Listing information © 2019 San Diego MLS, Inc.